A new addition that will be officially unveiled at Baselworld 2016, the Classique Moon Phase for ladies is an elegantly simple complication in the quintessential Breguet style. Before SIHH 2016 is even upon us Breguet is revealing a peek at its line-up for Baselworld next year that happens in March. 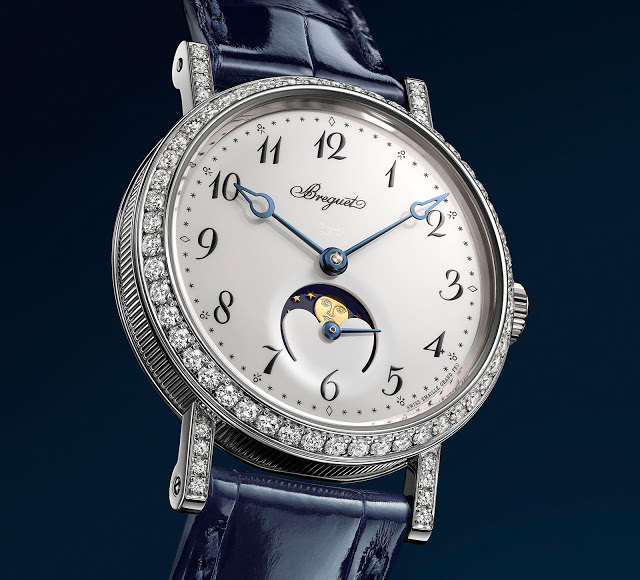 The Breguet Classique Phase de Lune Dame 9088 is a dainty wristwatch with a moon phase display and a fired enamel dial, in the style that is characteristic of Breguet. The gold case is 30 mm in diameter, available with or without diamonds, but with the signature fluted case flanks regardless. Likewise the blued steel hands are a variant of the Breguet sale, with an open tip. 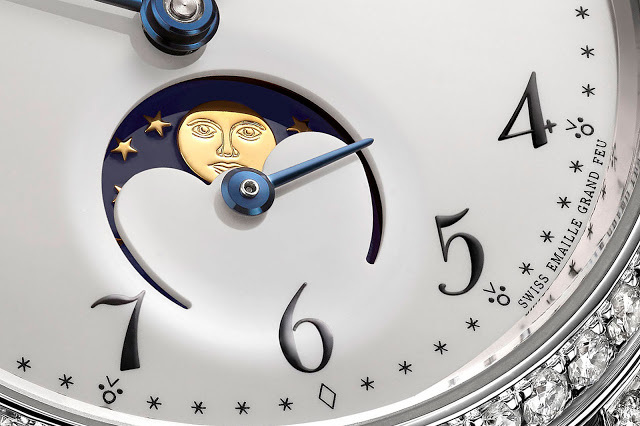 At six o’clock a small aperture reveals the moon, which like all other Breguet moon phase watches has a face on the moon. Though simple the dial has numerous details that hark back to 19th century Breguet pocket watches, including tiny stars that form the minute track, along with a fleur-de-lys as the five minute marker. Inside is the 537L movement that has an engine turned, solid gold oscillating weight, as well as the hairspring and escapement in silicon, a non-magnetic material that’s also impervious to changes in temperature. The silicon components promise better timekeeping regardless of the environment the watch is worn in. The ladies’ Classique Moon Phase is avialable in white or rose gold, with either the enamel dial pictured here, or a mother of pearl dial with engine turning.